Here are my latest Valentine’s Day cards, most are also good for anniversaries or just to say I love you. These ship worldwide, and are available for purchase in my Etsy shop (if there are any missing, please shoot me a message). Firstly, if we are buds – PLEASE order from me directly and arrange pick-up to offset the cost of processing online payments. 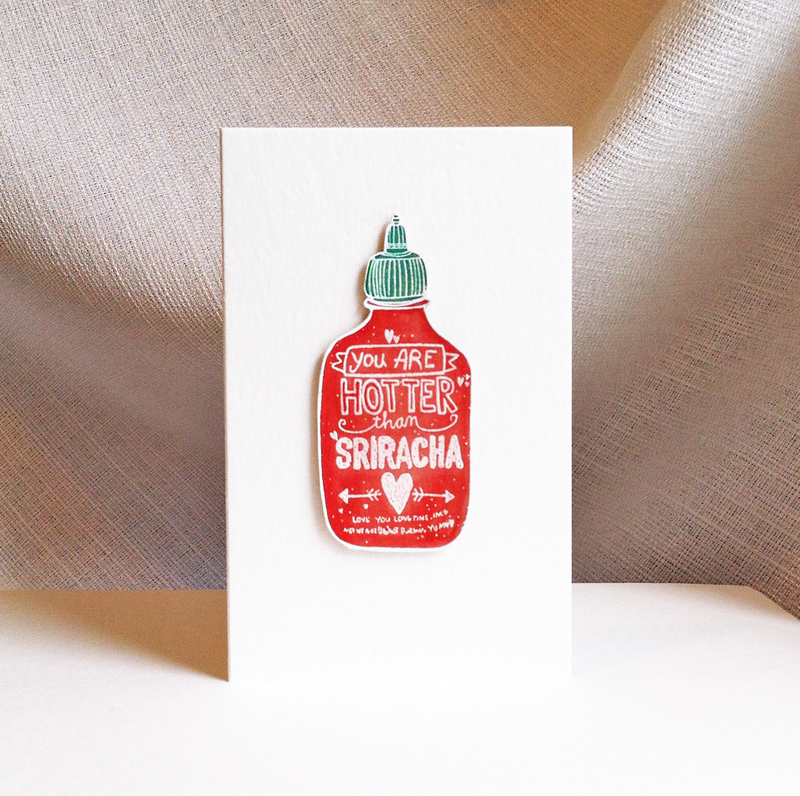 Alternatively, I’ve set up a little online shop with local pick-up available, or shipping within Canada at a rate of $1.25 per card plus $0.25 for each additional card added to the same order. The Printers Fair. Sunday, November 20th from 10am-4pm at the Rocket Room (top floor of Rocket Bakery) on Water Street, St. John’s. FREE Admission. Quidi Vidi Plantation Open House. Saturday, November 26th from 10am-4pm at Quidi Vidi Plantation on Maple View Road, St. John’s Newfoundland. FREE Admission. Some Good Market Goes to Town. Saturday, December 3rd from 10am-4pm at St. Thomas’ Church, 8 Military Road in St. John’s. FREE Admission with donation to the Food Bank. 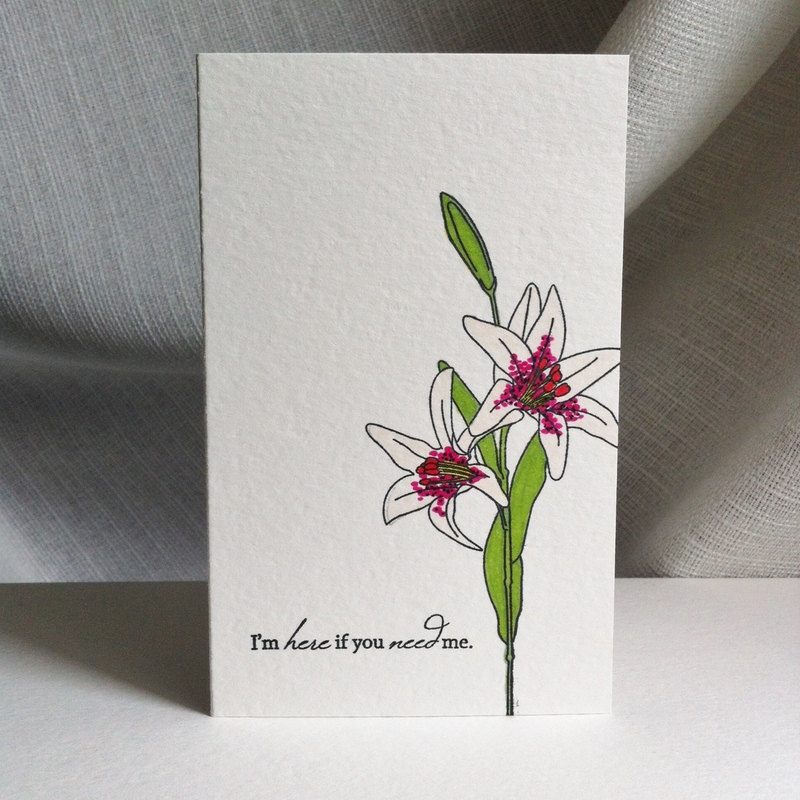 My handmade cards are also available in local shops downtown: Posie Row and Twisted Sisters Boutik, as well as By Sharpe Design located in Churchill Square. 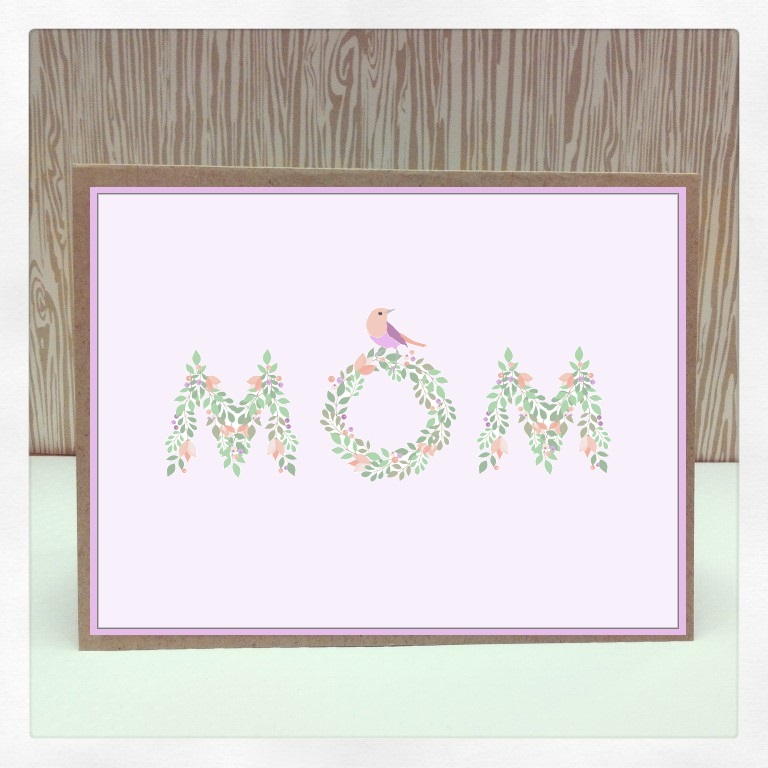 Mother’s Day is fast approaching and I will have a few different designs available to order. Here are some examples! These two cute critter cards say “Happy Father’s Day” inside but can be switched out for Mother’s Day or birthday – or nothing at all. 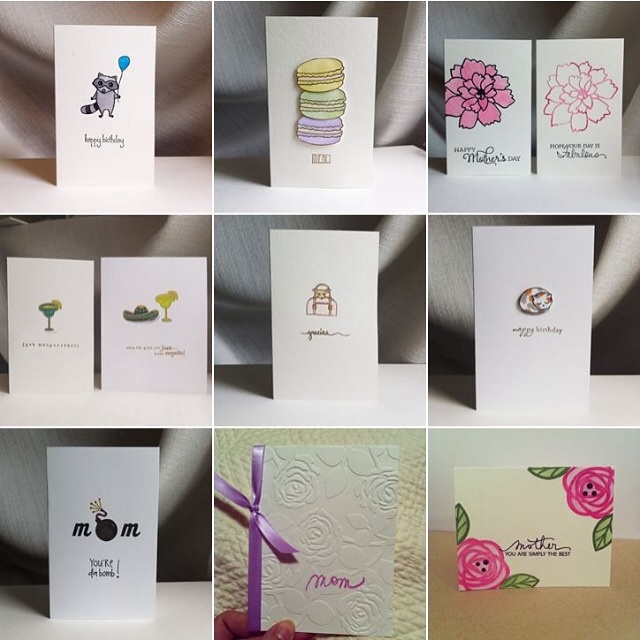 Tons of pretty floral Mother’s Day cards available, and I can also customize Mother’s Day cards for Nan, Mother-in-Law, sister, etc. Lots of choices available and we can discuss custom orders too, just get in touch. Did you hear about The Overcast Townie Taco Challenge? Click on the PDF below if you’d like to print your own #TownieTaco checklist for the challenge. Can we chat for a minute about the taco selection? 15 entries and only one chicken taco & only one veggie taco (both from Fixed!) Could really use a scattered bean taco, am I right? I shouldn’t complain because there are a lot of tacos and this challenge will help spread taco awareness. I’ve always felt that every restaurant should have tacos on the menu as an appetizer option – I’m sure that the popularity of this challenge will prove me right. Unrelated to the taco challenge, but very much related to tacos… I was pretty ambivalent about Quintana’s (in Churchill Square) before they introduced their new BBQ Chicken Tacos last year (part of the Q’s Trio). They’re sweet and delicious, if you love tacos you should check them out if you’re not all taco’d out after February’s Taco Challenge. I could tacobout tacos all day long but I’ll stop there. It’s December 1st and time is getting tighter for making Christmas cards. My mantra this year has been “Less is Best” and I’ve simplified my process immensely. My market season has come to an end for 2015 after participating in the Quidi Vidi Plantation Open House this weekend past. I just love that venue and it’s inspiring to be surrounded by so many brilliant artisans. This past year has been a wild ride and I couldn’t have asked for anything better, really. If I had to guess, I’d estimate that I’ve sold just over 2000 cards in 2015. I haven’t slowed down for one single minute and it has really paid off. Checking off my bucket-list one item at a time. Last year around this time I decided that I might like to go back to school and I even applied online and paid the application fee. But when I saw the portfolio requirements I totally chickened out. After speaking with a few friends enrolled in the Graphic Design program at CONA, I am feeling a bit more encouraged to pursue that path… just not yet. Maybe my path will choose itself, sometimes things have a strange way of working out… even when it doesn’t seem that way. After I left Posie Row, I headed down to Twisted Sisters Boutik to drop off a re-order of cards for their newest location, 179 Water Street. Fixed Coffee recently installed a mobile espresso cart at Twisted Sisters and lucky for me, TODAY they had a free beverage promotion! I ordered a very delicious machiatto made by Mr. Fixed It – Greg himself. I didn’t set out to give a play-by-play of my wanderings, but in keeping with the spirit of shopping local – why not! I popped into YellowBelly for some delicious nachos, then hit up Rocket Bakery for some delicious macarons. 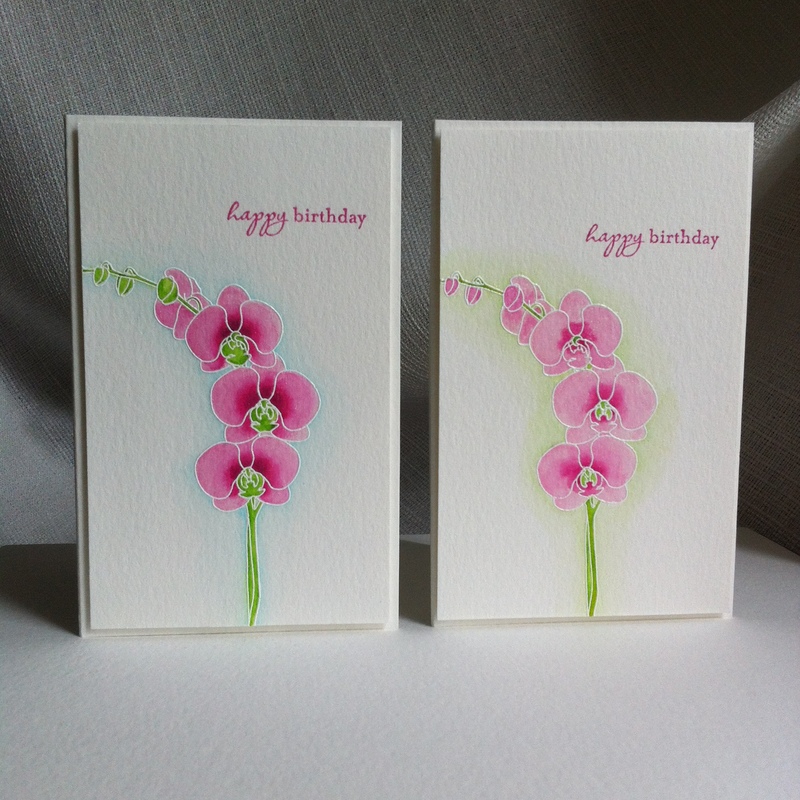 So busy these days making cards! 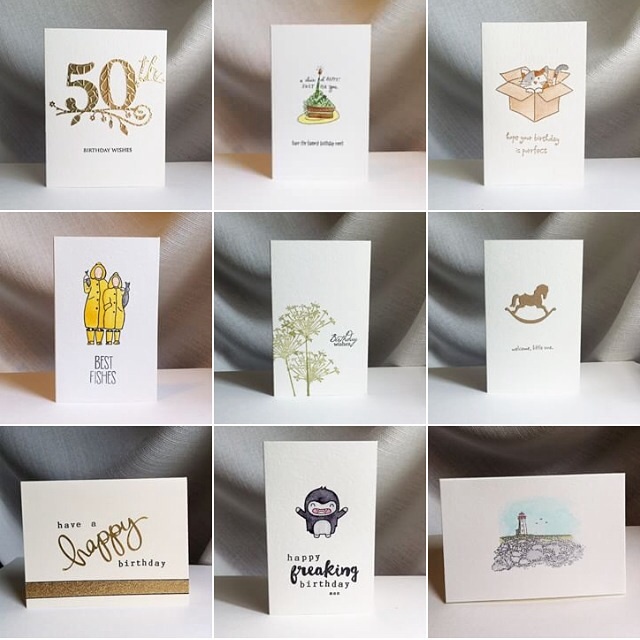 After a quick trial run of selling cards during the last five days of Christmas at Posie Row, I was excited when they asked me to bring down a whole line of cards for all occasions. But first I had to create a whole line of cards! 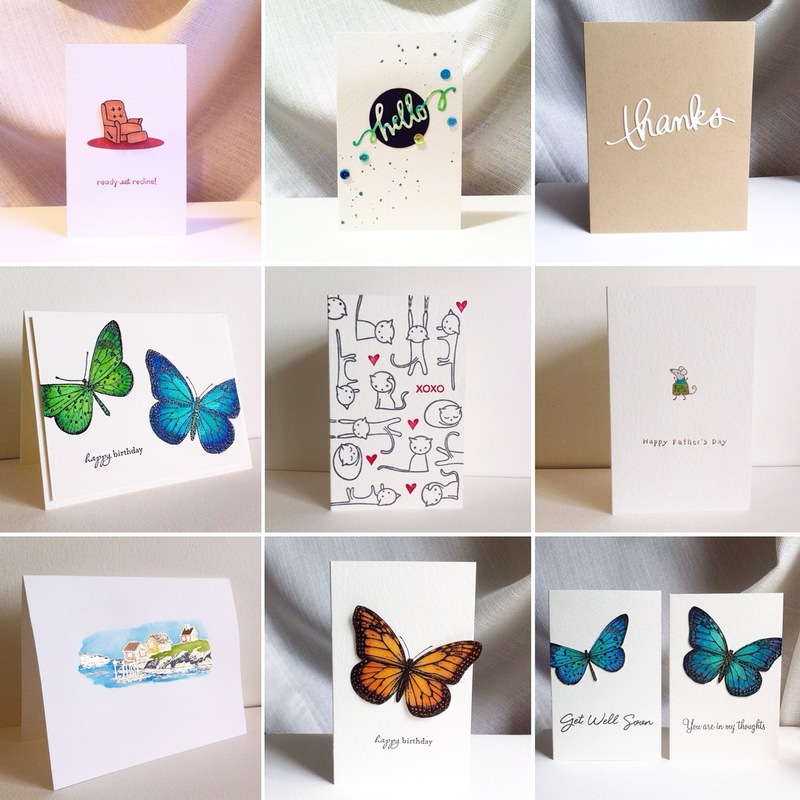 In July I dropped off 165 cards (33 styles in total) all created during my #100cardsin100days challenge. 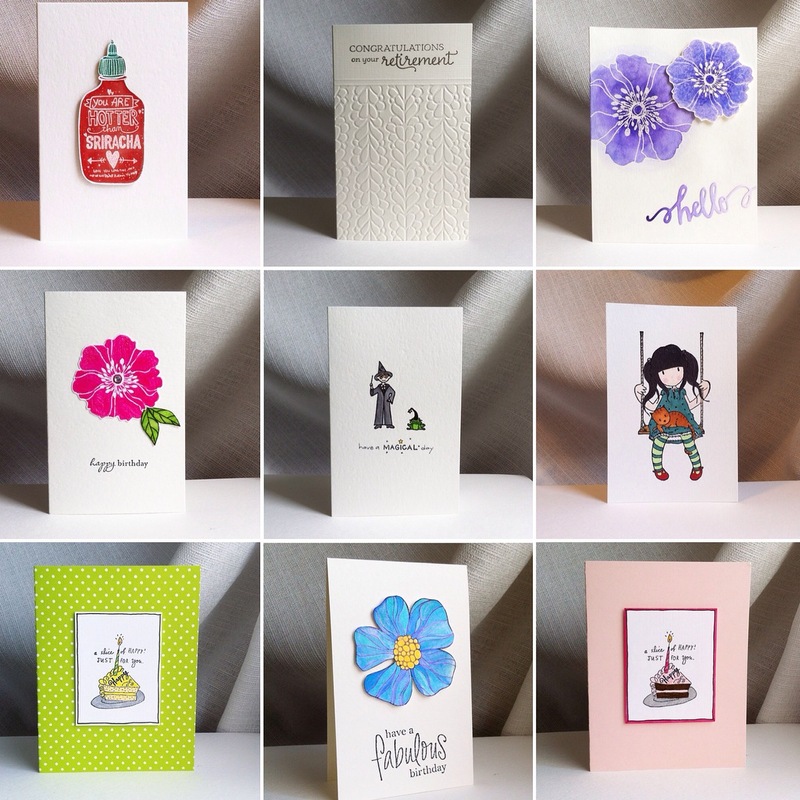 There are cards for retirement, birthday, baby, thank you, wedding, just because, etc. I wasn’t sure what people would respond to, but after much thought (and a bit of self-doubt), I settled on some of the things I love – colour, puns, cute animals, and watercolor. 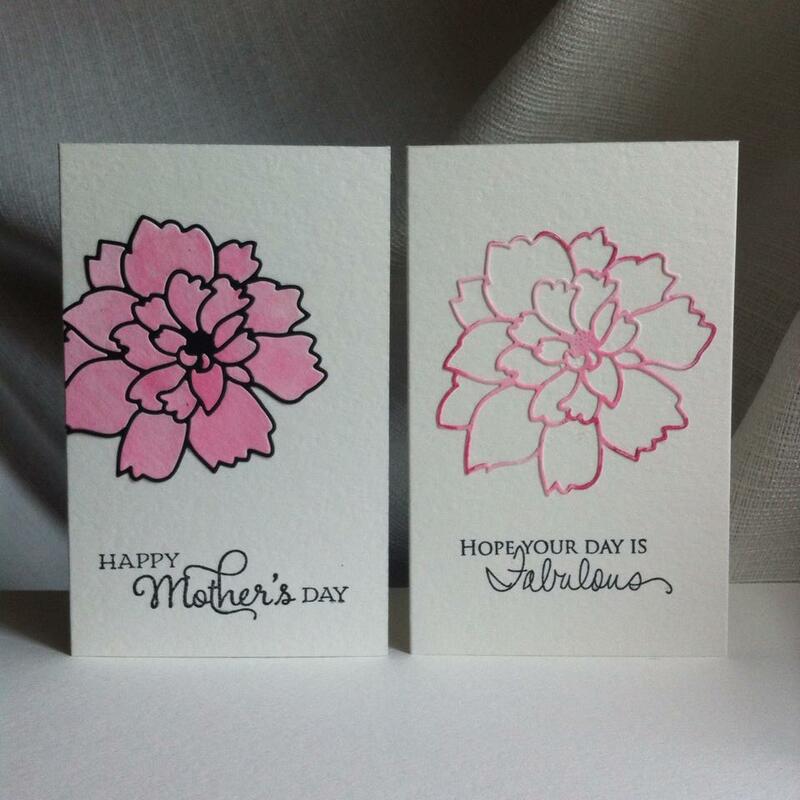 Every card is made by hand, so sometimes words are off-center and colours go outside the lines. Those tiny imperfections are part of the charm and that’s how you know it’s handmade, right? 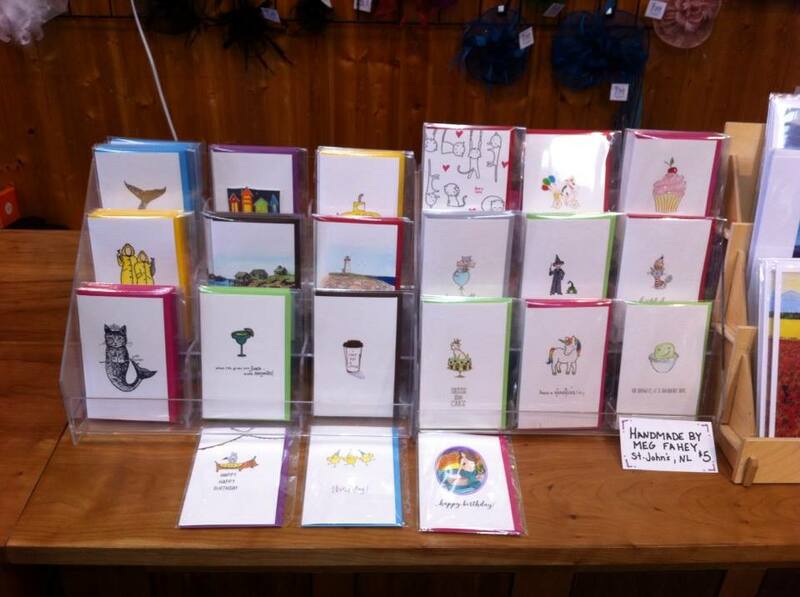 A huge thanks to Posie Row for agreeing to sell my cards back in December, and again now. 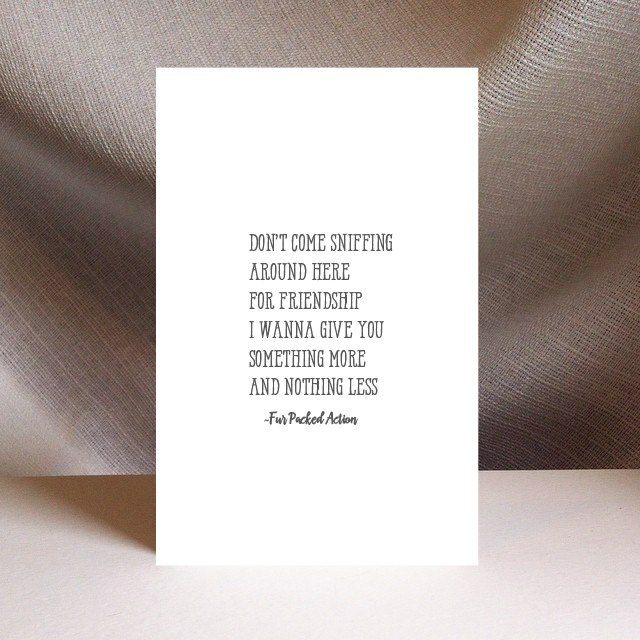 My friend Kate has been telling me to bring cards down there since we lived together in 2007 – I even put it on my ‘30 goals for 30‘ list five years ago. So grateful to finally cross another thing off my bucket list. Christmas cards will be available at the September 26th ‘Etsy Handmade’ Market at Anna Templeton Centre. 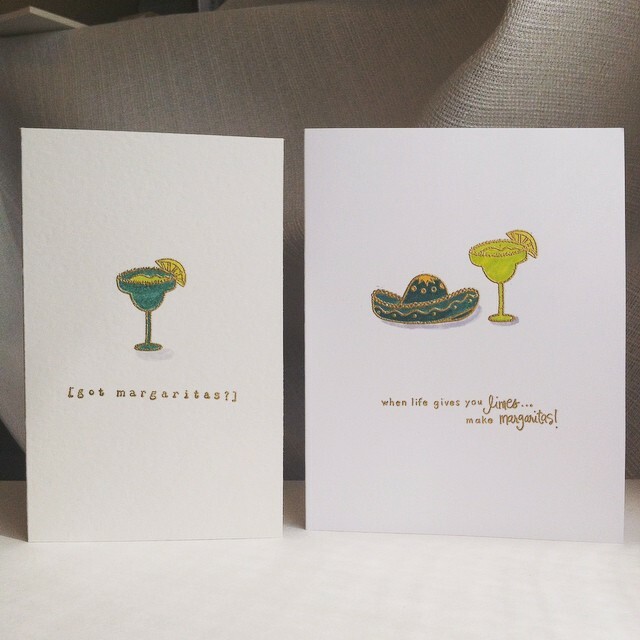 More exciting news about selling cards coming soon. It’s Pride Week in St. John’s! It would be great if we could all just learn to love and accept one another. Gay. Straight. Black. White. Hispanic. Muslim. Jew. Christian. Poor. Rich. Skinny. Obese. Short. Tall. Etc. Etc. Etc. Someday maybe. 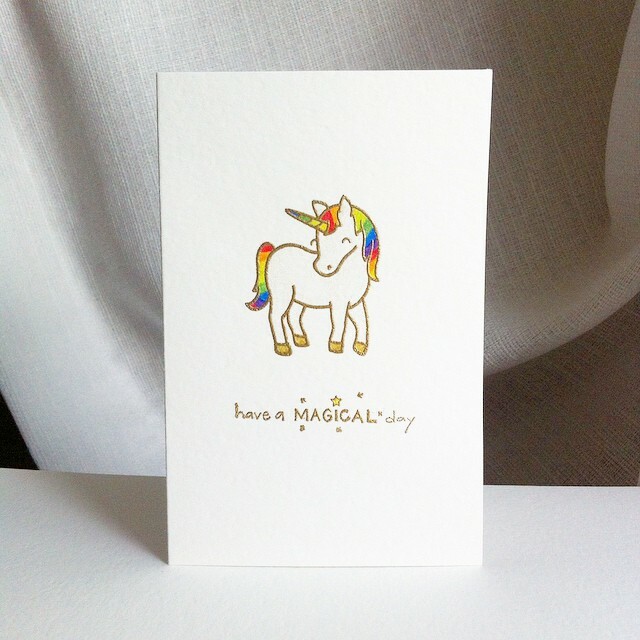 I made this Magical card with an adorable Lawn Fawn unicorn stamp and one of my old A Muse sentiment stamps. 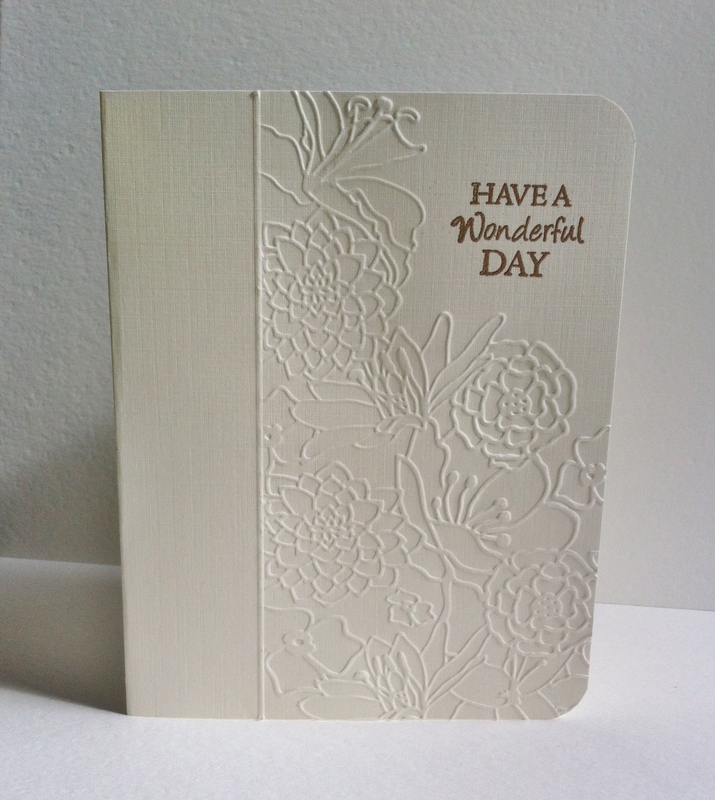 Very simply gold embossed and coloured with Zig Wink of Stella brush pens. 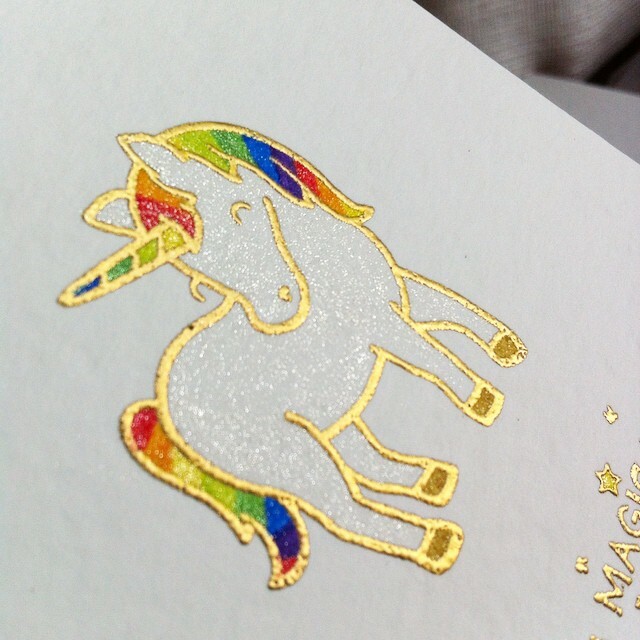 Because obviously unicorns should be glittery from head to hooves. Gosh, I do love a good rainbow. Making cards every day for 50 days! Well, I am 41 days in to my #50cardsin50days goal, and I’m proud to say that I haven’t missed a day yet! Here’s a recap of days 19 – 36. 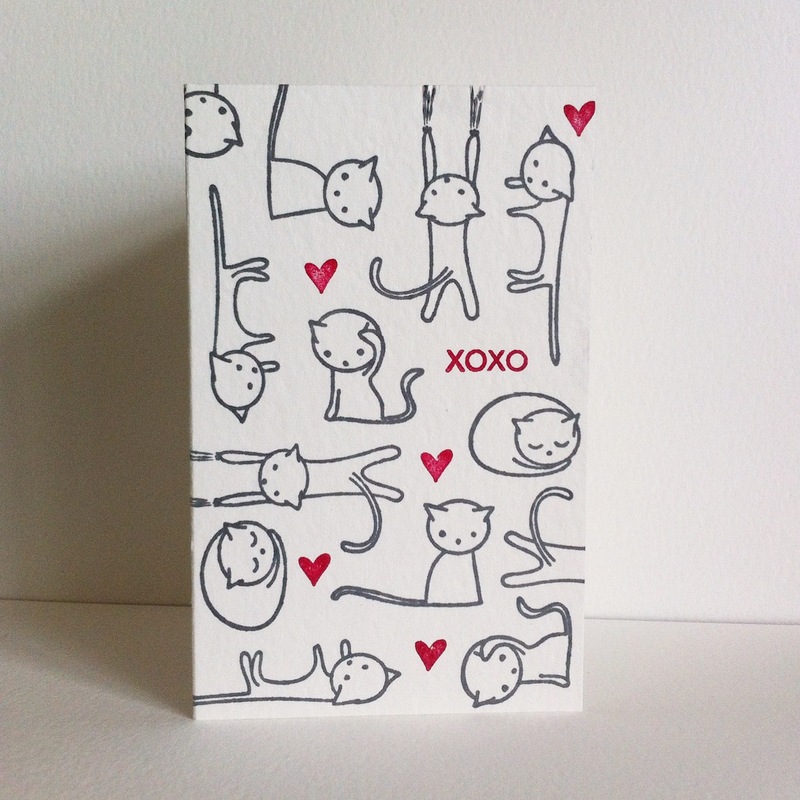 Here is my favourite card from the bunch… kitties! I also started playing along with #thedailymarker30day2 at the beginning of June. 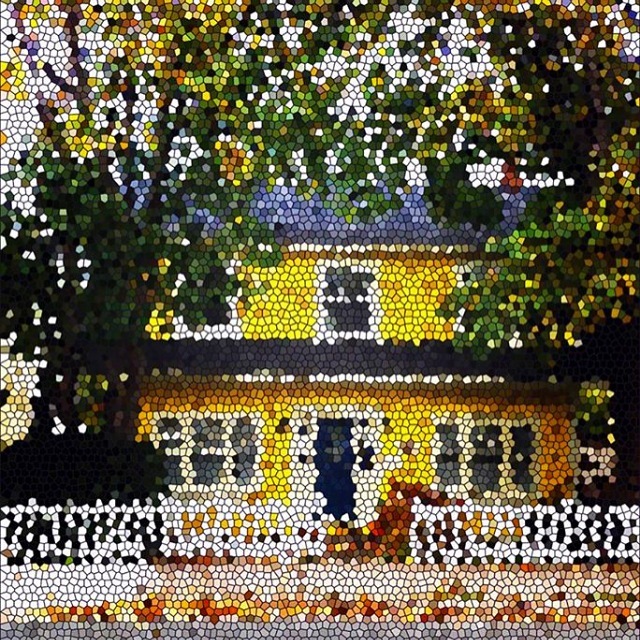 Kathy from The Daily Marker has put forth the challenge to colour something every day for the month of June, even if it’s just for 5 minutes. I have to say that the participants on Instagram are such a supportive and lovely group of people. Warms the heart. 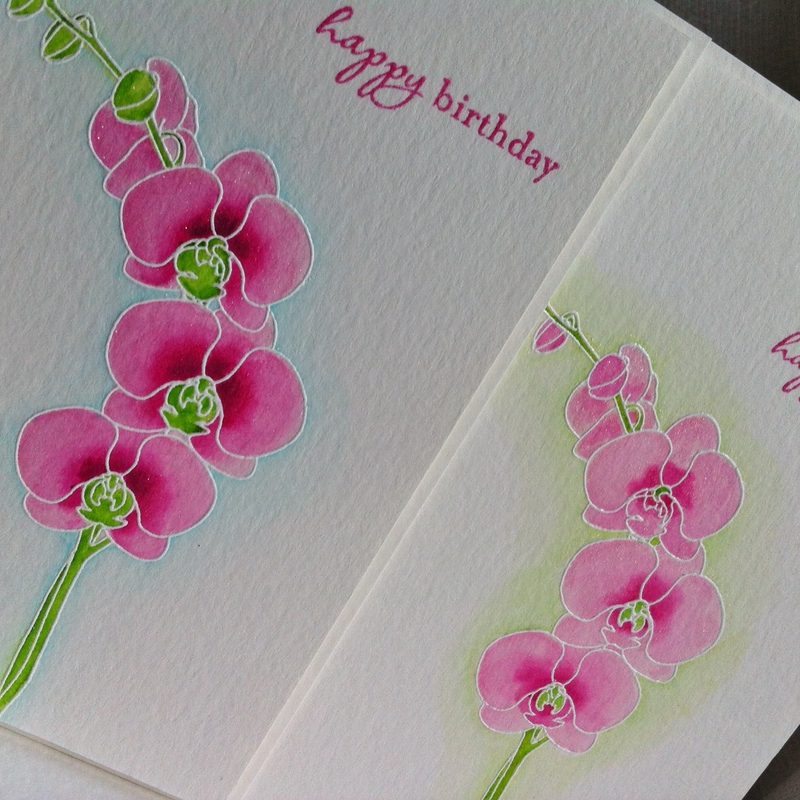 Here’s some coloring I did with Clearly Besotted Orchids using Distress Inks and a waterbrush. The blue outline is Tombow markers blended out and the green outline is Distress Ink. You can’t see it but there’s a lovely coating of sparkly clear Wink of Stella brush pen over each orchid stem. In other news, I started a Facebook page for my cards: http://facebook.com/driventoink. Since I’m participating in more craft fairs and starting an Etsy shop, I decided to go all the way. I’ve been selling cards to family and friends for years so why not take it to the next level. There will actually be a first-ever Etsy Handmade Market in St. John’s coming up on Saturday, September 26th at Anna Templeton Centre – more on that later! -Flaming Rox Burn by Jody Richardson of Fur Packed Action.